Will Amazon ever license their original content to libraries? You are here: Home / Digital Library News / Will Amazon ever license their original content to libraries? 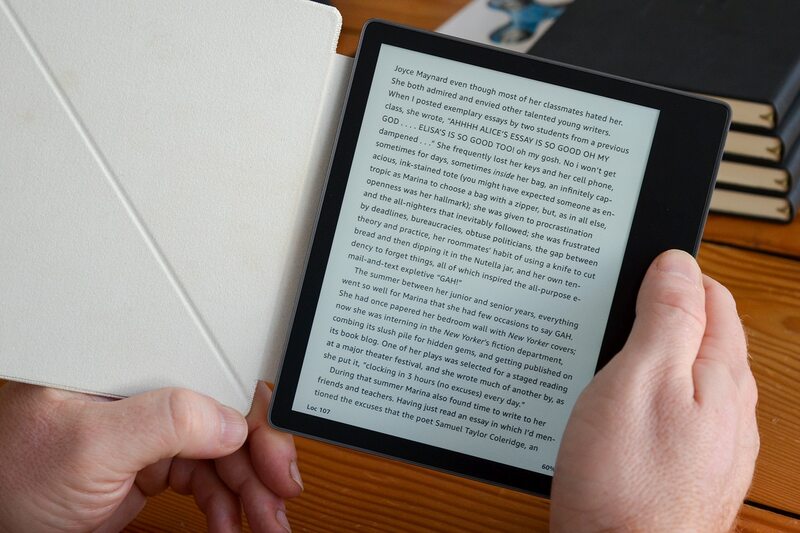 Amazon has millions of original ebooks that indie authors submitted to their platform as part of Kindle Direct Publishing. The company also runs their own imprints such as Thomas & Mercer and have a different one for each major genre. Their Audible unit also has hundreds of original audiobooks that subscribers have access and not to mention Comixology originals. Would it be realistic to think that Amazon may license this content out to libraries all over the world? Amazon has a relationship with Overdrive in the United States where Kindle books can be automatically delivered to an ereader at the click of a button. This arrangement has been ongoing since 2011 and both sides are comfortable, but Send to Kindle has not been expanded into other countries. Kobo Rakuten, Smashwords and the Library Journal Self-E program all have their original ebooks available on Overdrive and select other distribution systems. This serves a dual purpose, it advertises their company and they set the prices, which ensures that authors get a proper royalty rate. I have been told by many people in the digital library space that Amazon thinks that submitting a limited selection of audiobooks and ebooks would cannibalize their online sales. This is the same philosophy that major publishers had from 2009 to 2012, when they thought if patrons borrowed their titles for free, it would result in lost sales. They initially expressed trepidation, but they all now have their entire selection of frontlist and backlist ebooks available to libraries, albeit at draconian terms. Some ebooks expire after a certain number of loans and others expire after a specific duration. I believe that it would be easy for Amazon to include their self-published titles to companies like Cloud Library, B&T, Overdrive and Hoopla. They simply need to add in a field for authors who submit their ebooks to Kindle Direct Publishing to enroll their books for the public library. This would serve as a limited test, where Amazon can gauge if there is a demand for this sort of thing and if authors are happy to tap into an alternative revenue stream. There are some great books written by indies, but they often get lost in the shuffle, having their books available to the library might give them some added exposure. The one thing that Amazon has noticed about their imprints is that bookstores refuse to carry them. Barnes and Noble has gone on record and say they will not carry any titles published by Amazon. Hundreds of smaller bookstores all over the US have also refused to do business with them.
. . . and have discovered that the people who make the most use of libraries are also the people who buy the most books. Who woulda thunk? And yet the reason I first became an Amazon customer is because they linked me to independent bibliophile oriented sellers around the world, and them to me. The whole relationship to Amazon is . . . complicated. Sure, they’ve become an Evil Empire, but, ya know . . . books! I can understand the reasoning behind their competitors not wanting to carry Amazon’s published books.